1.4 million illegal aliens are working in the United States, using stolen Social Security numbers. Government officials knew about it the whole time, including the IRS Commissioner who oversaw the illegal targeting of Obama opponents. 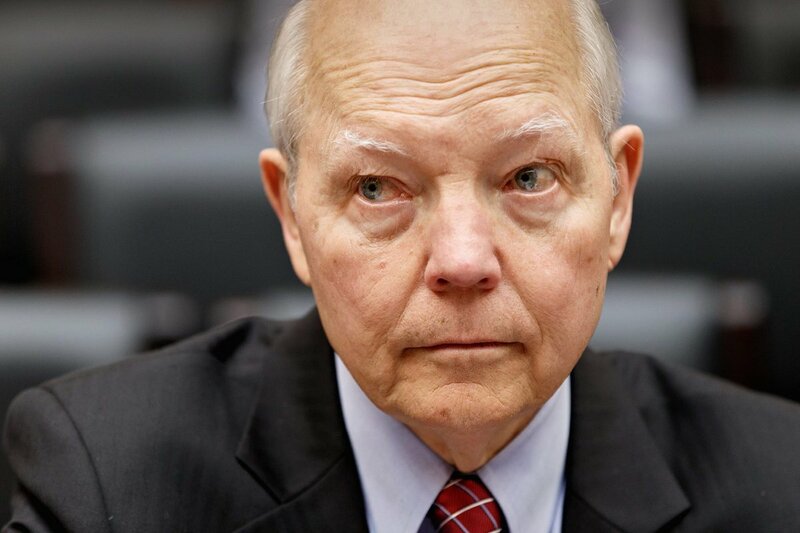 How did John Koskinen’s IRS actually help illegals pull off 1.4 million cases of identity theft, and will Congress finally impeach him? The shocking statistic comes from a report released last week by the Treasury Department’s Inspector General for Tax Administration, which found that the IRS only identifies about half the cases involving illegals who have found work with stolen tax information. Because when illegals find work using stolen Social Security Numbers, part of their paychecks are withheld for taxes, and the IRS isn’t in a hurry to give up that cash. It seems that crime does pay – for the IRS. “The IRS knows of 2.4 million people a year who file taxes using an Individual Taxpayer Identification Number, which is generally given out to immigrants who aren’t authorized to work. But the IRS is not allowed to talk with Homeland Security to help agents identify who and where those taxpayers are,” The Washington Times reports. “The migrants file their forms with their ITINs, but the W-2 forms they submit show valid Social Security numbers that they fraudulently gave to their employer to clear an initial work authorization check,” the Times reports. In other words, those numbers are stolen. And the sheer amount of fraud is stunning. Half of the forms filed on paper show fraud, along with a stunning 87 percent of forms filed online. Even worse, the identity theft means whomever the social security number rightfully belongs to is overcharged for taxes. The greedy IRS isn’t trying too hard to stop the illicit influx of tax dollars. In all, it added up to 1.4 million cases of Americans having their identity stolen by illegals to secure jobs that file with the IRS. It’s just the latest criminal scandal to rock the IRS under Commissioner John Koskinen, an Obama holdover. Koskinen took office in 2013, after it was revealed the agency’s Exempt Organizations Division was illegally targeting conservative and Tea Party groups for harassment and illegal discrimination. The division, responsible for processing non-profit organizations’ applications for tax-exempt status, would routinely single out for delays and denials the groups with conservative phrases or “Tea Party” in the title, at the behest of division director Lois Lerner. In an especially notorious, and illegal, case, Judicial Watch reports Lerner held a secret meeting with Justice Department officials Richard Pilger, Jack Smith and Raymond Hulser to discuss the possibility of having Tea Party activists singled out, rounded up and arrested. Pilger is Director of the Justice Department’s Election Crimes Division. Smith and Hulser are #1 and #2 officials in the Justice Department’s “Public Integrity Section,” which investigates and prosecutes elected officials. These are top DOJ officials. In that meeting, Lerner provided the trio with confidential taxpayer information on conservative activists, which is generally illegal. That meeting was called in the final weeks of the 2010 elections, when it became apparent Tea Party conservatives were on track to win congressional seats. An audit found that under Koskinen, illegal targeting is still ongoing. He has refused to comply with subpoenas and orders for documents and information on that and other criminal activity. Koskinen was the target of an impeachment resolution filed by Rep. Jason Chaffetz (R-UT,) which was shot down by House Republican leaders. “Impeachment is the appropriate tool to restore public confidence in the IRS and to protect the institutional interests of Congress,” the resolution reads. It is unknown if this latest revelation of criminal activity within the IRS will convince Republican leaders to change course and finally impeach Koskinen.